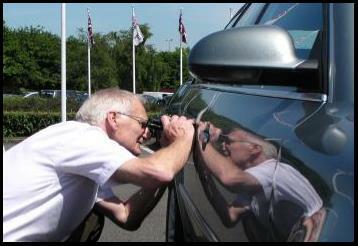 We are the professionals choice to inspect and report on all paint problems on painted cars and road vehicles. We inspect, analyse, and produce professionally written reports detailing the paint defects, probable causes of the paint defect and possible rectification procedure associated with vehicle paint problems. PVWI has more than 17 years in business, more than 25 thousand vehicles have been inspectedÂ on behalf of motor manufacturers, consumer associations, insurance companies, legal representatives and the general public. 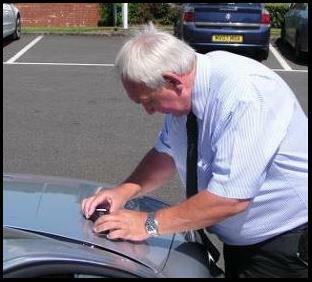 We are independent paint experts who provide confidential reporting on car paint and road vehicle paint defects. PVWI staff have a wealth of technical experience in car paint manufacture and vehicle paint manufacturing support. We understand the Research and Development processes used by paint and motor manufactures. The Motor Manufacturers OE (original enamel) processes and the specialised application equipment used, as well as the methods of paint application both in the factory and in the accident repair industries used for rectification of paint defects. This gives us a unique insight into the often complex problems that combine to create faults in the paintwork on cars and road vehicles.